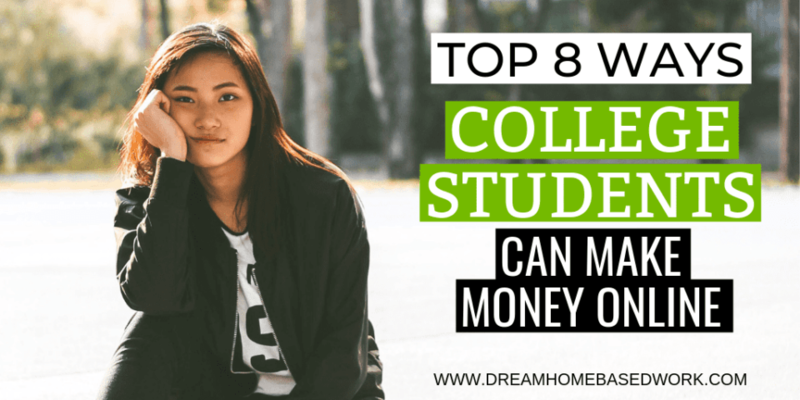 Online Jobs for College Students: 8 Ways To Make Money from Your Dorm! 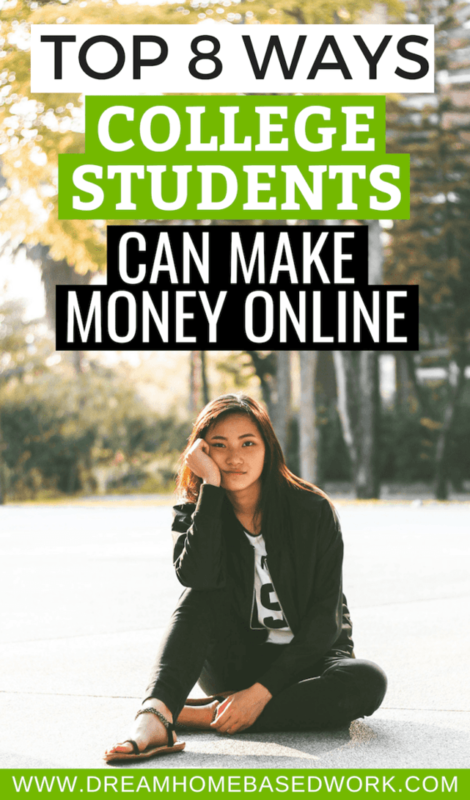 I am very excited about sharing today's post for my college students that are looking to make some side cash from home. Going back to college can be challenging if you work regular hours. But the flexibility of having an online job can be very handy, especially when you're trying to juggle on and off campus classes. While most college students won't qualify for many jobs that require a degree, they are typically smart enough to grab a number of other great positions. But in order to work with your schedule, the jobs must be willing to offer flexible hours. Now this will cut down a number of online opportunities. Thankfully, there are still some great part-time, flexible jobs out there. There are many companies that offer flexible customer-service jobs for college students. You should expect to make an average around $8 to $15 per hour depending on your prior experience, call volume and company. Be prepared to work a minimum of 15- 20 hours per week, although some agents work more hours when their schedule permits. Please note: You will need and updated computer with high speed internet, headset, and/or landline phone. Each company will have different technical requirements. Data entry is a great option for college students, if you are a fast typist. Your role is enter and update information into a computer database. When it comes to data entry, these companies listed are the real deal. Taking online surveys is one of the easiest ways for college students to make money online. This work is only for side cash, so don't rely on it to pay your rent. Give your honest opinions and you will be rewarded for it. If you are great at browsing the internet, then you can become a search engine evaluator. Your role is to keep search engines relevant by giving your feedback on the quality of search results. This is a non phone job, great for college students who needs part-time cash. Transcription is another area that you can find work online. While most transcription jobs require prior experience, some transcription companies don’t require any at all. However, you will need to purchase your own transcription equipment which includes a headset and a foot pedal. Do you enjoy tutoring other college students? You can simply help other students with homework assignments completely from home. If you’re hired, you can work from your home and set your own hours, like most online jobs. If you have great grammar skills, freelance writing is probably the easiest and best-paying way to make money online while in college. In this position, you are assigned to write articles for a variety of client’s. This may include writing blog articles, tutorials, or marketing material website. Your pay is based on the amount of work you do. This post covers 50 Legit Work at Home Jobs That Pay $16 Per Hour or More! If so, I recommend checking out FlexJobs. This is a membership site with tons of hand-screened job leads from reputable companies. You can go here and see which Virtual Assistant openings FlexJobs has up now. I have shared with you some pretty awesome opportunities. So, if you are a struggling college student looking to make some side cash online, these options can be very rewarding in the end. Make sure to research all jobs and browse through more ways to make extra cash in your spare time. Disclaimer: Some links in this post are affiliate links, Please read my disclosure policy here. Thanks!